Dr Hintsa is a respected Sports Surgeon who has operated many worldclass athletes. His main areas of interest have been arthroscopic knee and shoulder surgery. During his stay in Ethiopia as a missionary doctor in 1990´s Dr Hintsa created the Logical Framework Approach of Human High Performance. The philosophy and concept has been the platform for his later work with many Olympic athletes, top-level racing drivers and business executives in the world. Dr Hintsa is one of the most respected personalities in the Formula 1 society due to his approach and successful work with the world champions such as Sebastian Vettel, Lewis Hamilton, Kimi Räikkönen and Mika Häkkinen. 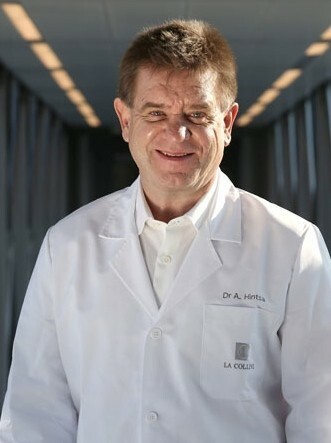 Since 2003 Dr Hintsa has worked at the Vodafone McLaren Mercedes F1 Racing team and is currently the chief medical officer of the team and Head of McLaren Human High Performance laboratory, which utilizes the Hintsa philosophy.